View cart “DIY Mustard Set” has been added to your cart. This set has you covered from appetizer to after dinner drinks! You’ll be the host with the most when you have this set on hand! 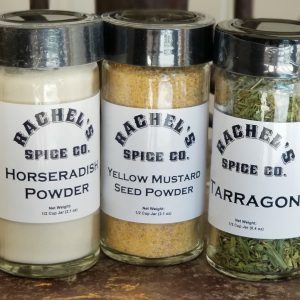 This robust set of 6 seasonings will have you ready at the drop of a hat. 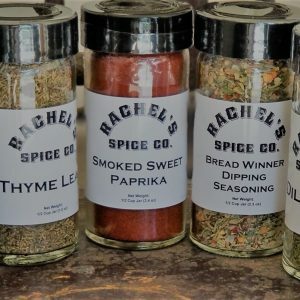 Bread Winner Bread Dipping Seasoning- This seasoning is dual faceted. While it makes an amazing easy bread dipping oil by simply adding olive oil, it can also be added to sour cream to make a dip! Better yet use it to season oil and vinegar for salads. 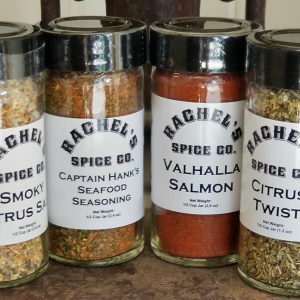 Smoky Citrus Salt and 5 Star Pepper- These are a dynamic duo for finishing salts. However, they also are a great addition to the home bar! Smoky Citrus Salt makes the best margarita salt (especially with Gran Marnier!) and 5 star pepper takes your bloody mary to the next level! 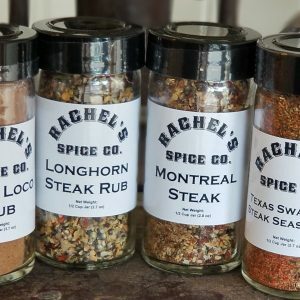 Montreal Steak Seasoning, Clucky Number 18 Chicken Seasoning, and Captain Hank’s Fish Seasoning- Now you’re ready for beef, chicken, and fish! For a gourmet twist on Alfredo sauce try adding Clucky number 18! It’s also great on butternut squash risotto and sweet potatoes!